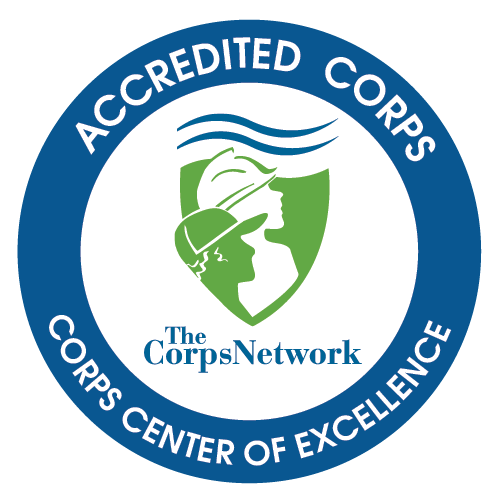 The Idaho Service Corps (ISC) is an innovative AmeriCorps program designed to provide hands on training and experience to those interested in pursuing employment with conservation corps, land and water resource management agencies, and other outdoor careers. The ISC integrates team-based work projects, education, and on-site vocational training into an experience that prioritizes personal growth, and the development of conservation work skills. Participants will develop technical skills working on a variety of conservation projects while developing the soft skills needed to be successful in the outdoor industry. ISC participants spend five months camping, working and travelling together as an eight- person team. You can expect to work on physically challenging conservation projects in any kind of weather, gaining hands on experience in the groundwork of stewardship. Each day, you will return to camp after work and participate in community activities, including meal prep, water collection and treatment, and tool maintenance, followed by a family style dinner. Evenings will be spent on various educational and recreational activities; including formal lessons taught by team members, group discussions, and stargazing around the campfire. The ISC will work on high priority conservation projects for land management partners like the Forest Service, BLM, and Bureau of Reclamation. Some crews may be focused on construction of bridges and kiosks, while others may be focused on the restoration of at-risk landscapes and watersheds. Other projects may include fuels reduction or GIS mapping and survey. Each crew will have a project specialty and will receive training and certification appropriate to that theme. ​All ISC’s are residential programs requiring long days, high energy, and love of challenge. The crew works up to 40 hours a week on a variety of projects and spends the weekends participating in and leading recreational and educational outings. The work schedule varies based on project needs. AmeriCorps Members work a minimum of 900 hours over a 5-month period. Hours include travel, work, trainings, education and mandatory camp activities such as debriefs and evaluations. Members earn a living allowance of $6,250, prorated throughout your term of service. Members are eligible for an educational award of $3,047.50 once their program has concluded and they have completed the minimum 900 hours of service. - Education-Minimum of a high school degree. Course work in education, leadership, resource management, and recreation preferred. - Experience-Applications will be reviewed considering all past work experience, outdoor recreation background, and volunteer experience relevant to this position. Prior experience in environmental studies, outdoor recreation, resource management and familiarity using hand tools is desirable. Experience and certification in First Aid is not required but strongly encouraged. - Physical Condition-All applicants must be in good physical condition and capable of working long hours on strenuous, labor intensive projects. Work projects often require heavy lifting, constant bending, digging, and extensive backcountry travel. Applicants must be able to backpack 12 miles and lift up to 50 lbs. - Due to the possible remote nature of this program, applicants must be comfortable with extremely limited contact with the outside world. There may be no opportunities for internet access and mail, and cell service may be extremely limited.